This is an opportunity to discover a heavenly river, to explore scenic coasts, and to capture bucolic meadows and downs - with your paintbrush! Surrounded by rolling hills, ancient woodland and winding country lanes, Coombe Farm Studios are right at the heart of the idyllic Dart valley and just a few miles from the sea. Coombe Farm Studios are housed in attractively-converted, seasoned stone barns in a fetching, Provençal-style courtyard. 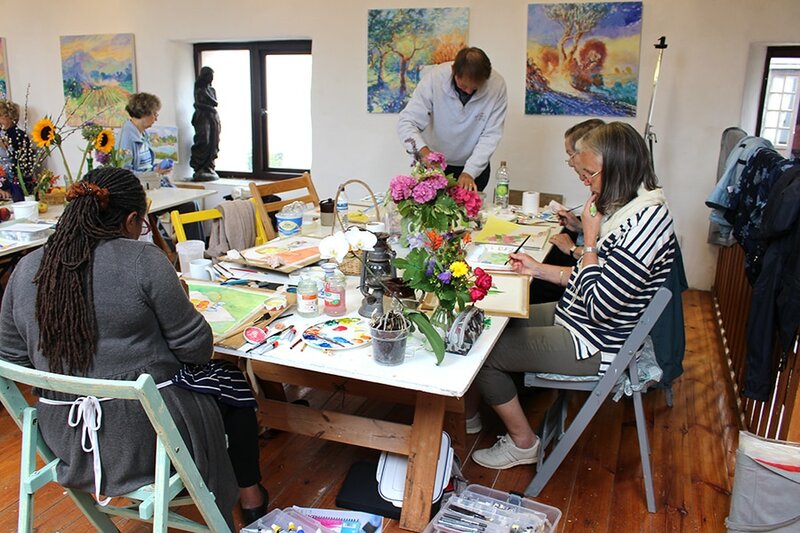 The spacious, well-lit studio is open day and night, and the immediate vicinity offers endless subject matter for landscape and flower painting. We usually take three painting trips if the weather is fine. One is to the pretty coastal area around the Slapton Ley nature reserve. 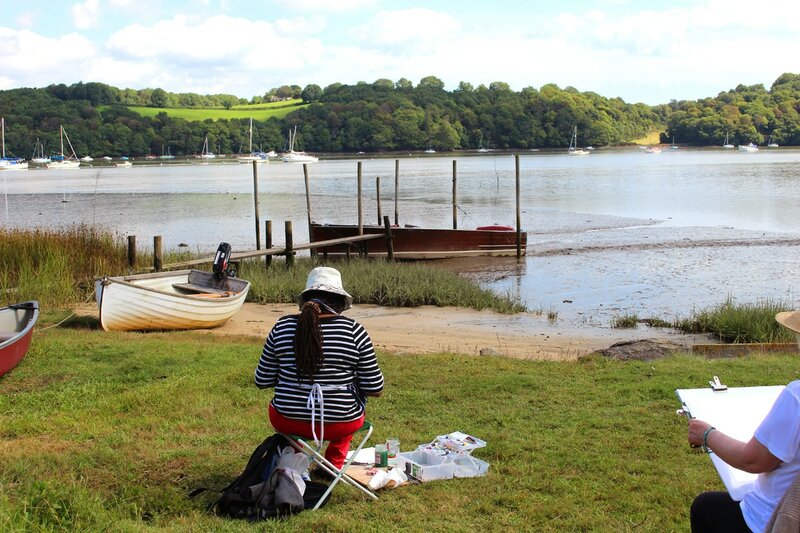 Another is to paint an exquisite view of the Dart estuary from a private garden. 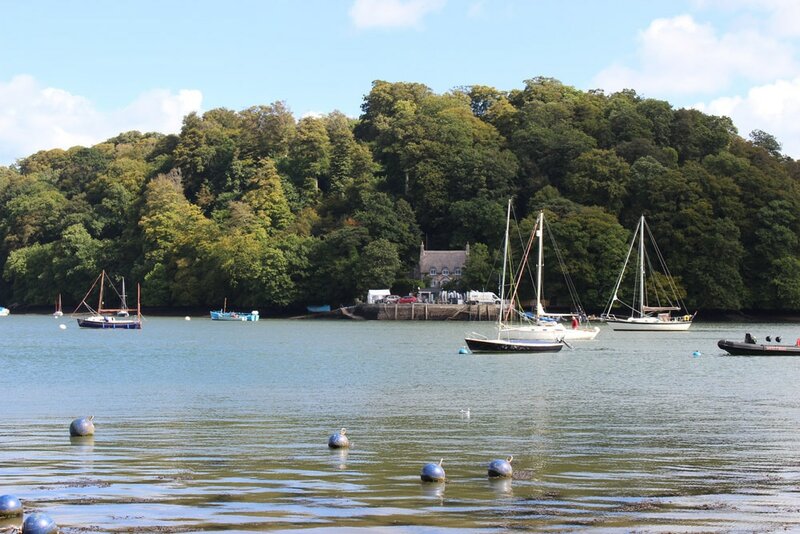 On other days we take a short trip along the stream to Dittisham creek and village. 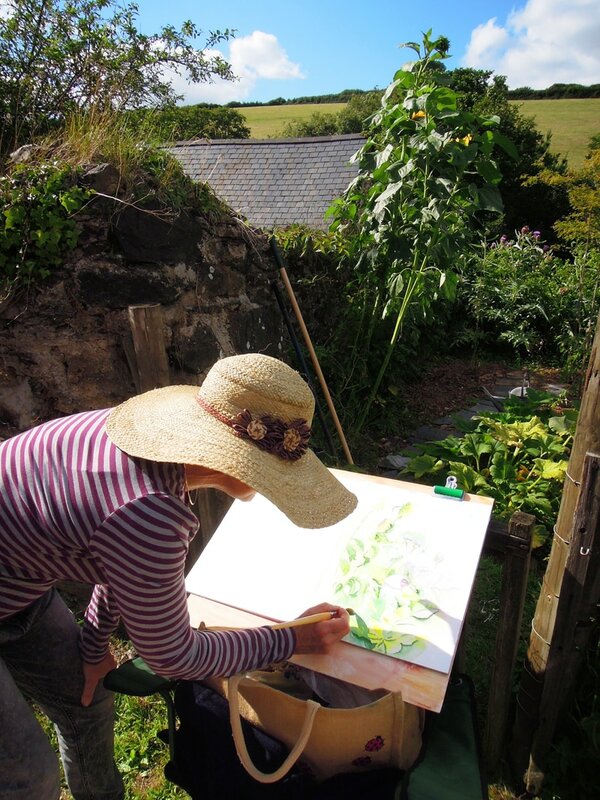 Further afield is Dartmoor, where we may spend half a day painting, and also Dartmouth where we paint the dramatic natural harbour or sketch the 15th-century castle. Accommodation is available in single-, double- or twin-bedded rooms, whilst meals are made with fresh local produce with vegetables and herbs from Coombe Farm itself. Tea and coffee is available in the common room throughout the day. "I really enjoyed meeting you and the Combe Farm team again, particularly Lara and Mickey (whose cooking was really good), and the group were very friendly and sociable." 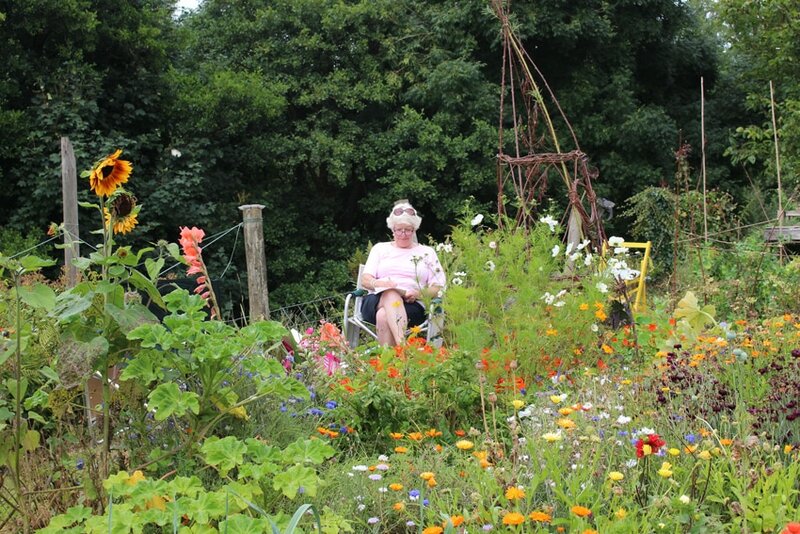 "Many thanks for a most enjoyable course at Coombe Farm." "Thanks for a really good week in Dittisham. My friend and I had a great time and found your tuition, your general approach and your good humour all admirable." "A wonderful week in Devon. Lovely tutor, enjoyable company. I have now enrolled in a course at home. I look forward to joining you next year." 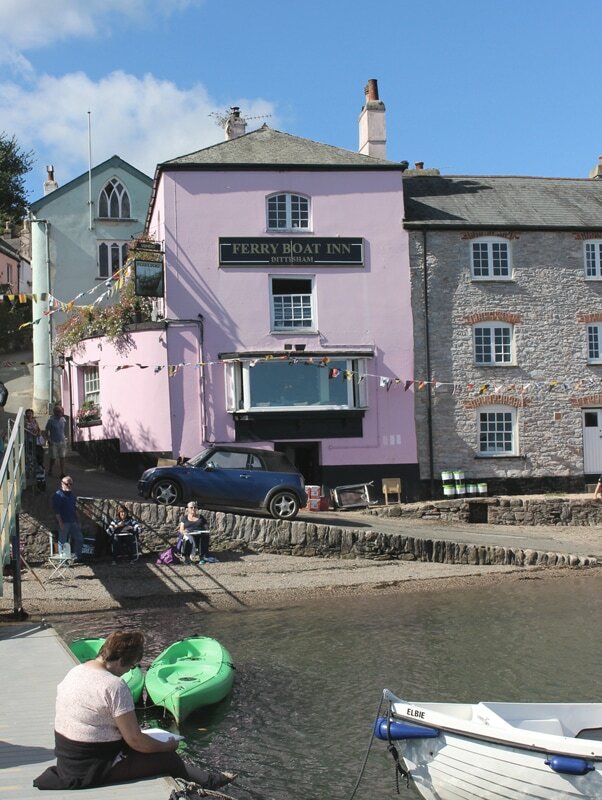 "The whole week was excellent, and I loved painting the houses at Dittisham Harbour - a beautiful scene."